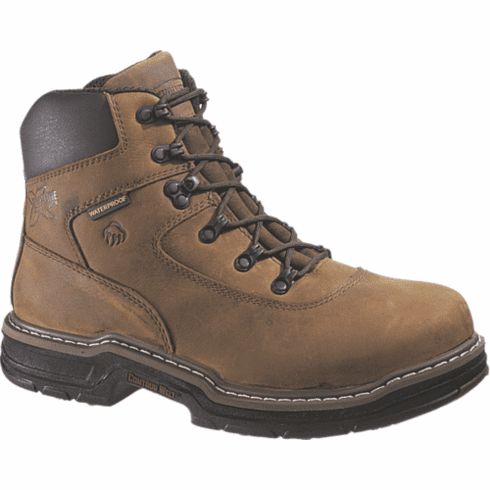 This work boot features: Waterproof full-grain leather upper. Wave mesh lining. 400 gram Thinsulate™ Ultra Insulation. Wolverine MultiShox® removable full-cushion footbed. Lightweight PU midsole. Nylon shank. Wolverine Contour Welt™ construction.